Discography is a diagnostic procedure used to determine the source of low back and neck pain. Discography, also known as a discogram, was first used by doctors in Scandinavia during the 1940s to locate painful disc lesions in patient’s spines. By the early 1960s, U.S. physicians continued to improve the procedure and research clinical outcomes. In fact, by that time, its success rate in diagnosing conditions, such as lumbar disc disease, surpassed a variety of other procedures available during that time. Today, discography is primarily used in patients with axial low back and neck pain, with or without extremity radiation, after noninvasive examinations, such as MRIs, have failed. It is warranted after other exams have ruled out other causes of pain, such as sacroiliac or facet disease. Recent research has shown that discography helps to identify structural abnormalities in the discs that may be causing the pain. In this capacity, it is frequently used to pinpoint problematic discs of patients who may be considering surgery. Prior to the procedure, physicians will administer medication through an IV to help the patient relax if needed. The patient is then transferred to an x-ray table and the skin is cleaned and prepared for an injection. A local numbing anesthetic is first injected into the area. Then a larger needle is used to inject a water-soluble contrast dye into each potentially problematic disc. Watch a Discogram – Performed Live! During the procedure, doctors carefully monitor the placement of the needle through live x-ray imaging, known as fluoroscopy. If pain occurs after the injection into the disc, which is similar to your chronic pain, the discogram has potentially located the source of your pain. However, if the disc is not the cause of your pain, the injection will not mimic your typical pain. The entire procedure typically takes approximately thirty minutes to an hour. The American Society of Interventional Pain Physicians (ASIPP), the National Ankylosing Spondylitis Society (NASS), and the International Spine Intervention Society (ISIS) have endorsed discography’s role as an effective and safe diagnostic tool to evaluate patients with lower back and neck pain. Current statistical meta-analysis has shown that discography meets the strict ISIS guidelines as an acceptable diagnostic option for assessing lower lumbar as well as cervical pain. Recent studies have also revealed discography’s benefits for both the clinician and patient when compared to MRI analysis for back pain. The studies concluded that MRIs are highly effective in the identification of anomalies in the discs; however, discography has greater efficiency in showing the actual source of the pain. One of the key factors associated with discography is the prevention of unwarranted surgeries. In fact, some surgeons have written that positive discography tests have prevented invasive lumbar fusion surgeries on certain patients. These authors have also stated that finding and treating the correct disc is crucial in alleviating their patient’s pain. Discography is considered a minimally invasive procedure; however, as with all procedures, there is some risk of complications. There may also be some pain and discomfort for about a week after the procedure. To help minimize pain, patients can apply ice and take pain medication as needed. Back pain is one of the most common complaints in the United States. It affects approximately 80% of people at some time in their lives. Moreover, it is the leading cause of missed work in the U.S. Even more frustrating, most of the time, the exact cause of chronic pain is difficult to diagnose. Current research has indicated that in almost 90% of back pain cases a specific cause cannot be located. 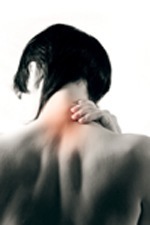 There are numerous conditions that can result in lower back or neck pain. Radiographic imaging, along with patient assessments and other spinal diagnostic procedures can help to eliminate or confirm certain causes of pain. However, when doctors believe that one of the discs is a mitigating factor, discography can be used to confirm the diagnosis. 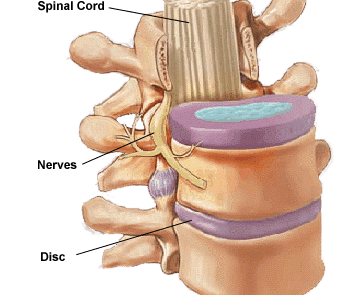 The discs that separate the vertebrae can herniate or bulge, which causes pain in the nerves. The cause of disc herniation could be from trauma or may occur gradually through degenerative disc disease. Current literature supports the role of discography to help patients understand the cause of their chronic back pain. Once the cause is determined, both the patient and physician will be armed with this knowledge, which can assist them in making informed choices regarding the most suitable treatment options. If you are suffering from chronic back pain, and have exhausted all other diagnostic approaches, contact your pain specialist to see if discography can help you. Borthakur A, Maurer P, Fenty M, et al. Magnetic resonance imaging and discography pressure as novel biomarkers for disc degeneration and low back pain. Spine Diagnostics. 2011;36(25):2190-2196. Chen JY, Ding Y, Lv RY, et al. Coorelation between MR imaging and discography with provacitive concordant pain in patients with low back pain. Clin J Pain. 2011;27(2):125-130. Provenzano D. Diagnostic Discography. What is the Clinical Utility? Curr Pain Headache Rep. 2012;16:26-32. Reeves R, Furman M. Discography’s role in low back pain. Pain Manage. 2012;2(2):151-157.